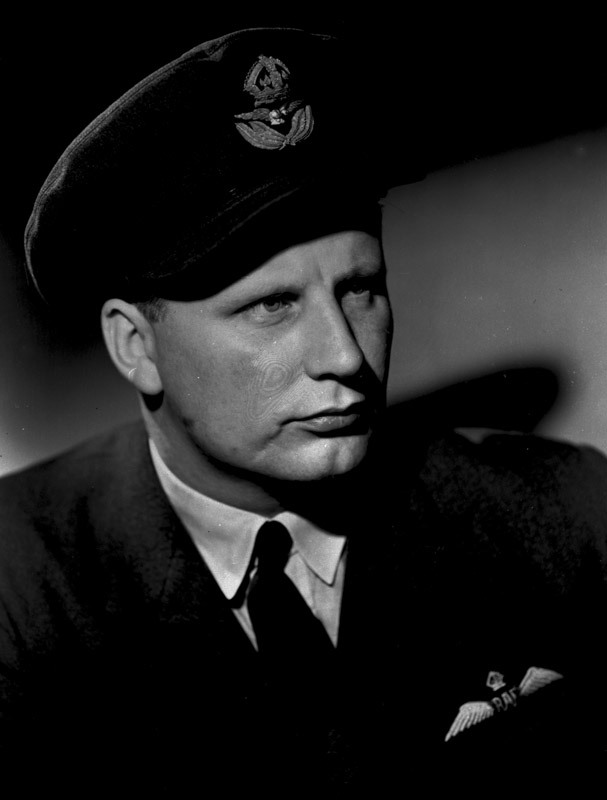 "If Fighter Command was the defensive guard, Bomber Command would supply 'a straight left'." 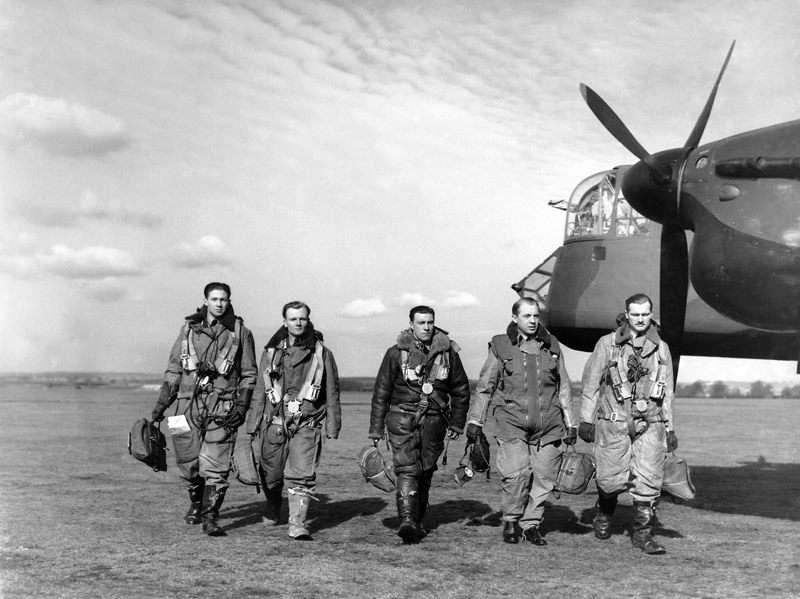 During the Battle RAF Fighter Command defended the British Isles against German attacks but it was left to RAF Bomber Command to maintain the long-held faith in the Trenchard Doctrine of strategic bombing that attack was the best form of defence. Bomber Command, although poorly equipped with medium bombers and lacking sufficient technology to bomb accurately, continually assaulted German military and industrial targets. However the appearance of taking the fight to the enemy was just as important in raising the morale of the British population as was the actual damage inflicted on the enemy. Like the RAF the Luftwaffe struggled to create a viable night fighter defence. In these early days adverse weather and flak defences were responsible for many of the British losses. It is questionable how effective bombing attacks against German industrial targets was at this time but certainly the relentless campaign waged by RAF bombers against German forward airfields, invasion ports, barges and vessels in France, Belgium and Holland placed a significant check on Hitler's invasion plans. 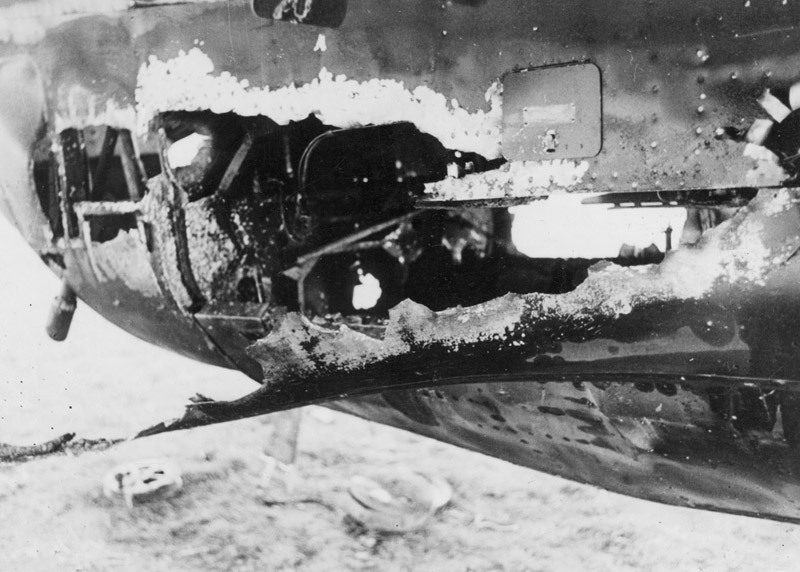 Bomber Command suffered heavier casualties than any other RAF command during the Battle of Britain, with a total of 718 personnel lost. 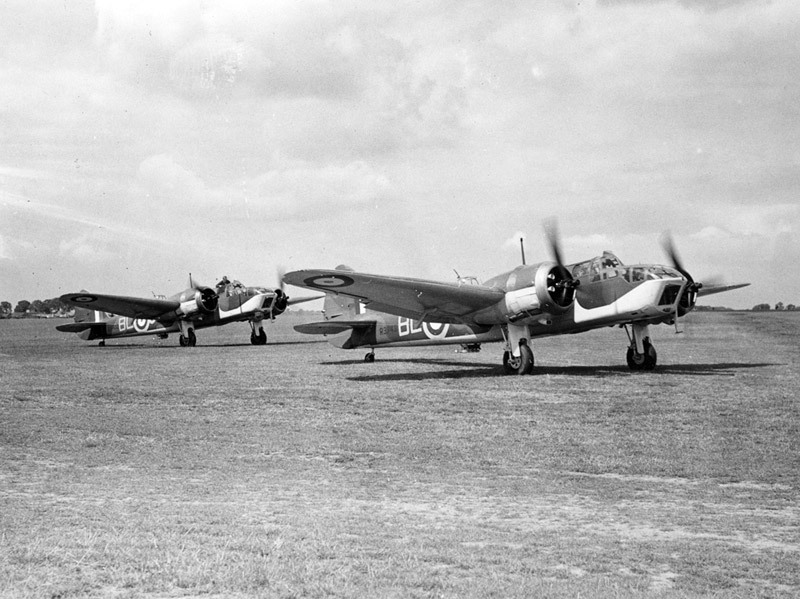 Bristol Blenheim IV aircraft of 40 Squadron taxying at RAF Wyton, July 1940. 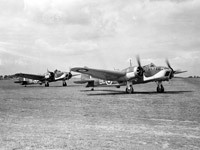 During the Battle Bomber Command relied on medium bombers such as the Blenheim, Hampden, Wellington and Whitley to take the fight into Germany. 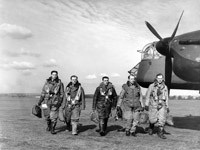 The five-man crew of an Armstrong Whitworth Whitley Mk. V walk away from their aircraft at RAF Driffield, 1940. They wear various items of flying clothing including the Irvin Harnessuit which was issued to Bomber Command crews from May 1940. 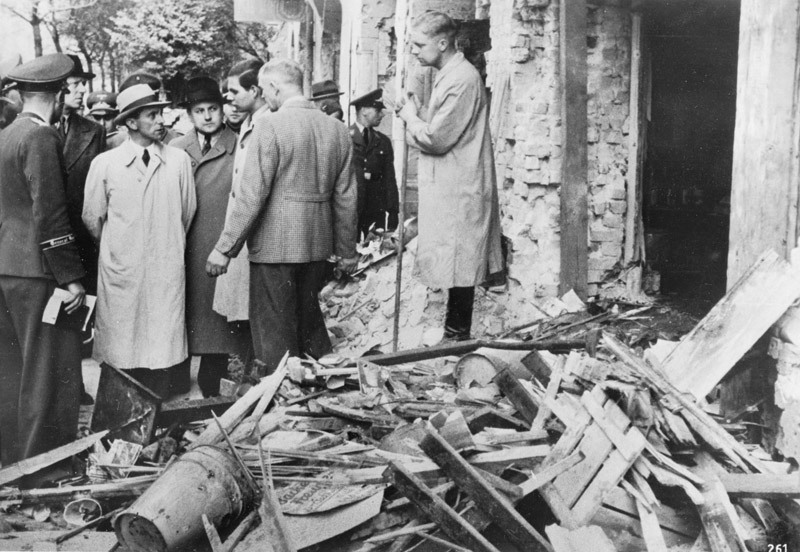 German Propaganda Minister Joseph Goebbels inspects a bomb damaged street in Berlin following the first RAF raids on the city. The bombing of Berlin marked a turning point in the Battle of Britain and Hitler's demands that the Luftwaffe retaliate against London provided Fighter Command's stations and squadrons with much needed relief at a critical time. 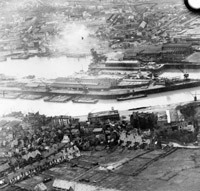 An aerial reconnaissance photograph of German invasion barges in Boulogne harbour. 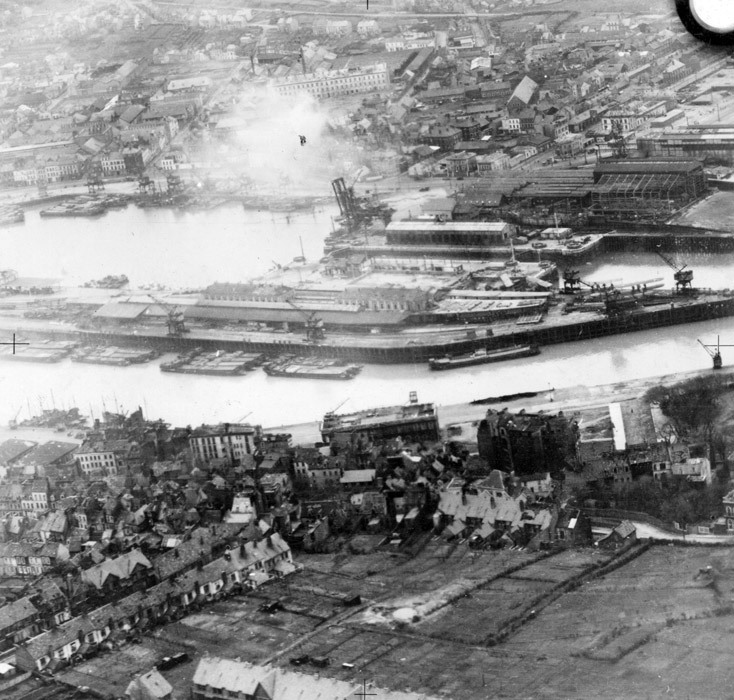 These invasion barges were a prime target for Bomber Command during the Battle of Britain and the damage they inflicted on them was a critical factor in Hitler's decision to postpone the invasion of Britain on 17 September 1940. It was during this sortie against invasion barges in the port of Antwerp on 15 September 1940 that the aircraft's wireless operator/air gunner, FS John Hannah, earned the Victoria Cross for saving the burning aircraft.